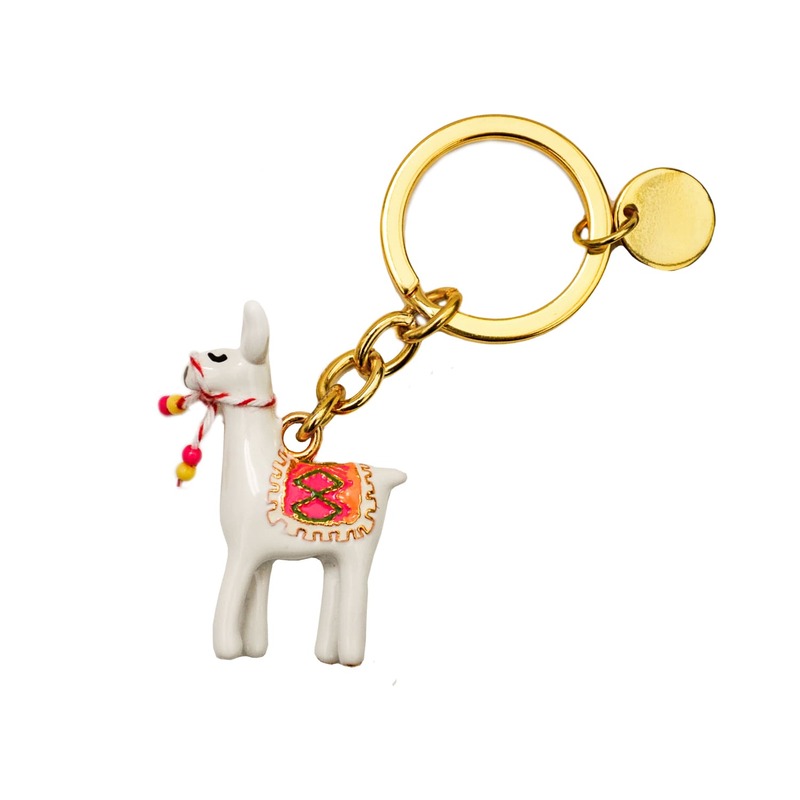 A fabulously fun three dimensional Alpaca Enamel Keyring with a striped bridle finished off with pink and yellow beads. The perfect gift for young and old alike, this keyring is sure to bring a smile to everyone's face. The attention to detail in this design is simply marvellous.